Recovery has been slow. FEMA, insurance… well, government just doesn’t move very fast and insurance companies have been bogged with claims. The losses were just catastrophic and will take time to get everything back to normal. ERC is helping recover from this widespread catastrophe. In 2018, ERC was awarded the first FEMA-related contract through the City of Houston’s General Services Division. We are renovating the McGovern-Stella Link Neighborhood Library, part of the Houston Public Library System, after flood waters damaged the building. The scope of work includes flooring, electrical, millwork, and painting. McGovern-Stella Link Neighborhood Library – Before Harvey, Street view. What makes this project different? The paperwork. In an effort to insure the City of Houston and FEMA are on the same page as to what work is covered and what will be reimbursed to the City, this project’s paperwork was fine-tuned to address this unique situation. 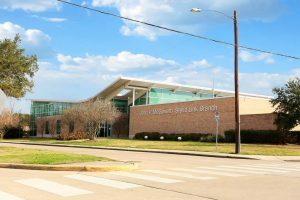 “We want to impress the City of Houston with our professionalism, while at the same time, being easy to work with,” says Max Sanati, ERC’s superintendent of the project. When the project is complete, we’ll post photos to our website, so please return to see the end result! If you’d like more information on what Houston is doing to help recovery and their efforts to reduce the risk of this happening again, visit Houston Recovers. 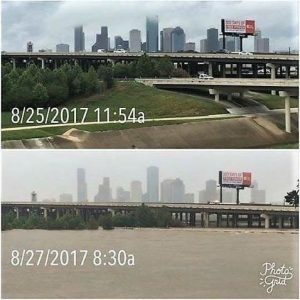 If you don’t live in Houston, but want information about your nearby affected area, there are links to get you to your neighborhood information. © 2018 ERC Environmental & Construction Services. All rights reserved.